To tell or not to tell? This is an important question that Glenn Young focuses on in an article about disabilities and the workplace for the website, Learning Disabilities Association of America. Indeed, the decision to disclose or to remain silent is a quandary that many workers with disabilities face. People with learning or neurological disabilities may fear that divulging such information may alienate them from peers or cause skepticism. An even worse possibility is the chance that they may be barred from opportunities because of misconceptions and the apprehension daily tasks may not be met. Whereas people with learning and neurological abilities may have the luxury to hide their disabilities to some extent, workers with physical impairments worry about automatic exclusion during the entry process in seeking employment. In spite of these fears, it is not impossible for people with disabilities to establish themselves in the workplace. Not only can individuals with disabilities become successful, but there are employers and coworkers willing to do whatever possible to understand and accommodate the needs of employees restricted by physical and neurological frailties. For those of you concerned with disclosure and disabilities should consider these six questions in the following passages. Who do you talk to when it comes to addressing your disability? Do you tell your boss? Is it necessary to talk to your coworkers as well? 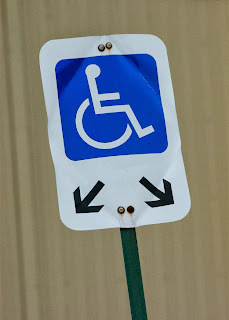 Are there other people or entities that you should also inform about a disability? These questions are very important when it comes to the ‘who’ part of disclosure. There will be some cases where informing your employer is imperative. If a disability affects your work performance, the best thing to do is to disclose. In notifying your employer about how a disability may affect your ability to work, occupational training can be tailored to either capitalize on strengths and/or can curtail limitations. Additionally, telling your employer can mean being provided with accommodations needed to ensure success as well as a comfortable work environment. Coworkers may also need to be informed in order to establish proper etiquette as well as a balanced workplace relationship where both abled and disabled workers are socially and occupationally equal. Not disclosing a- disability means a host of problems from a lack of support to running the risk of being fired for poor work performance. I chose to put ‘when and where’ together because both inquiries are closely related. Choosing when and where to disclose a physical or neurological frailty can be challenging decisions to make and in some cases may determine whether or not you get the job. In determining when and where to disclose adisability, here are some things to consider. One question that may come to mind is whether or not a potential employee should mention their disability in their resume or cover letter. Although you have the right to choose to or not to disclose, you can mention your disability within job entry paper work like resumes, cover letters and curriculum vitae. In addressing your disability, discuss them in a positive light and how you were either able to overcome obstacles or develop unique strengths that can become an asset. Medical sections within job applications may provide you with another opportunity to give information on your disability. A second question concerning when and where to disclose can be connected with the interview process. A face to face interview can be an excellent opportunity for you to elaborate further on the assets and positive aspects of a disability. A discussion between employer and potential employee may also help in planning and sorting out the practical needs relevant to the occupation. If a physical disability, however, may affect the interview process, it is strongly encouraged to inform a recruiter or employer ahead of time in order to make arrangements. Disclosure on the job is also necessary especially if a disability is developed from injuries. In making all of the preparations involved with the when and where to disclose disabilities can help to safeguard a position at the workplace. What details or aspects of a disability should be disclosed? As previously mentioned, an employee with special needs should promote their disability in a way that is positive. Though focusing on the positive aspects of an employee’s disability is a great way to garner the interest of an employer, limitations that come with the disability should not be ignored. With regards to weaknesses, it is important to discuss the hindrances that may occur in relation to a disability and performance. Discussing the relevant details of a disability and how it may obstruct certain facets of your work can help employers and coworkers make preparations. Outlining the specifics of your strengths and weaknesses of a disability can be useful in providing the appropriate accommodations and training needed to effectively execute undertakings required of your occupation. How you disclose a disability can be important when it comes to what is disclosed. In making the decision to discuss your disability with employers and coworkers it helps to be straightforward. Especially with coworkers, being forthright about your disability and about can help colleagues to have a better understanding of your strengths and weaknesses. 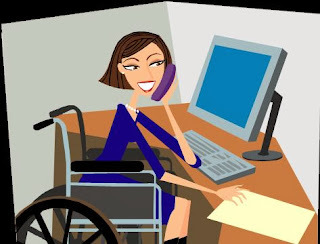 Telling your fellow workers about a disability can also help to establish a support system and social etiquette that can create a comfortable work environment for both you and your coworkers. Just as it is important to be straightforward with coworkers, it is equally important to explain the intricacies of your disabilities to employers and people in charge of implementing vocational training. More than likely, managers may not be familiar with the disability and how to make modifications within the realm of their field. Taking this into account, it is important for workers with disabilities to be prepared to not only explain the specifics of their disability, but make possible suggestions to ensure an optimum performance of projects and daily tasks. Individuals with disabilities have a choice of whether or not to disclose their disorder or impairment to fellow coworkers or even employers. Many may feel reluctant in divulging this information, however, in fear that they may lose opportunities of entering a job or gaining a promotion. Social and occupational discrimination may also be a reason why workers with disabilities do not address their handicaps. Regardless of the reasons for not informing others, the importance of disclosing a disability is not only beneficial, but necessary. One reason it is important to inform employers and coworkers about a disability deals with vocational performance. To tell an employer about disability in detail with daily tasks or projects means that you will not be penalized for completing a task at a slower pace. Additionally, employers can make provisions to ensure a successful performance and to minimize the difficulty of work related responsibilities. To create a comfortable work environment is another reason to inform colleagues of a disabilities. Especially for workers with physical limitations, employers informed of hindrance with movements can take the necessary steps to create an occupational space in which the physically disabled can easily maneuver through. Moreover, coworkers can help to create a social environment within the workplace that welcomes difference as well as encourages a supportive and positive relationship among fellow employees. Lastly, individuals with disabilities are protected under the Americans with Disabilities Act of 1990 (ADA). Notifying employers and going through the necessary procedures to have disabilities in company records may guarantee financial security and safe guard against discrimination. Questions may not necessarily lead you to straightforward answers, especially when it comes to the matter of disability and the workplace. Still, taking the questions mentioned above into consideration is very important. Hopefully, these questions can help you develop detailed self-portrait of yourself as a worker that can be an asset to employers. Using these questions as a self-evaluation as a disabled worker sends a message to employers that you are a considerate employee that takes extra initiative for the betterment of their establishment. The links below provide more helpful information and details on disclosing information about a disability to an employer. 4. Who Do You Tell About Your Disability? 7. Disability in the Workplace: The Same but Different?